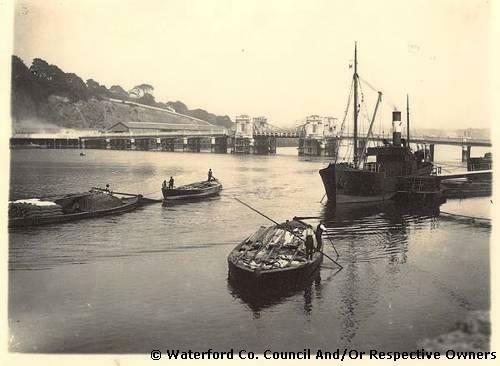 In recent weeks we've looked closely at the Waterford Steam Navigation Company and their river based service. The feedback has been very positive, many contacting me to remark on how vibrant and busy the rivers were, and how important they were for transportation and trade. Its a theme that I have tried hard to showcase down the years. 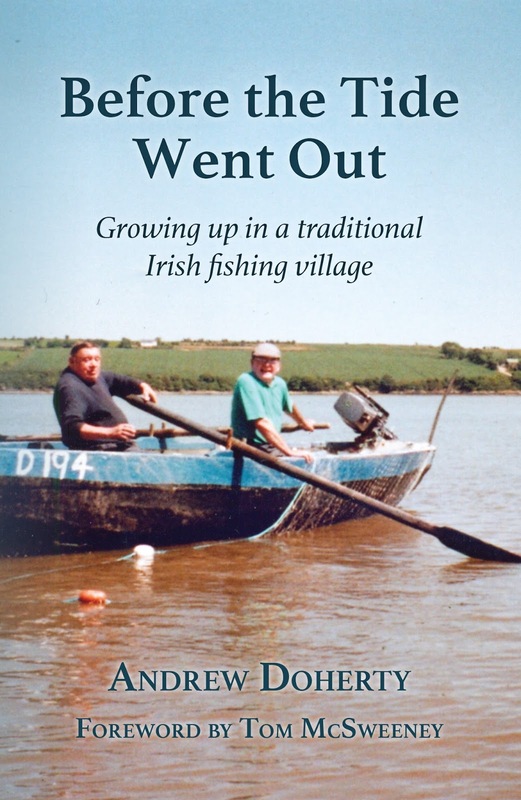 This week in a somewhat related post I wanted to complement a previous guest blog by Leslie Dowley featuring the work boats of the Suir but talking about those boats on the River Barrow, the Barrow Navigation Company and a specific incident at Cheekpoint in 1864 highlighting the trade. The Barrow Navigation Company's screw steamer tug Louisa of 30 tons with six men aboard departed Waterford on January 15th 1863 with two lighters (effectively barges), one either side. The lighter on the port bow was laden with wheat, Indian corn and new rope. The opposite lighter had 35 ton of coal. The destination was the tidal reach of the barrow, St Mullins. In a time honoured fashion the matter would end up in court, the ruling of which were appealed and counter argued. So much so that I'm not 100% sure how it all transpired but the initial ruling did favour the City of Paris finding the lights of the Louisa to be insufficient for navigation. Given the competition they were facing, I'm sure the company could ill afford the loss of her cargo. But they endured. 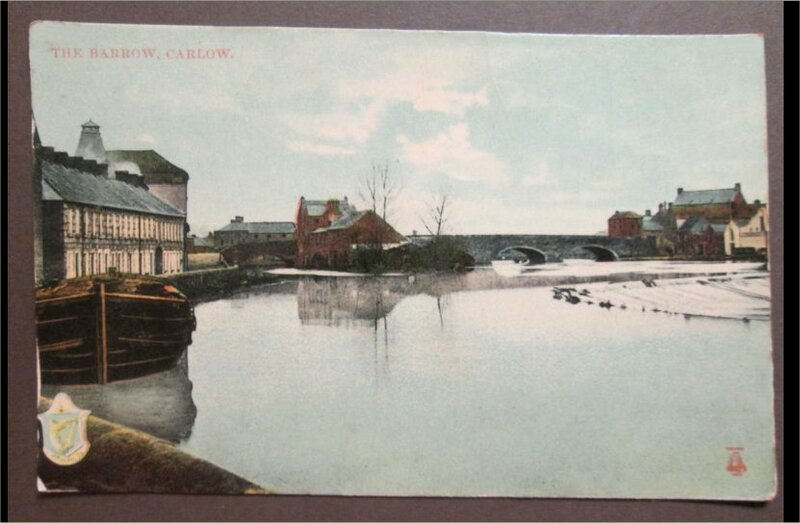 In 1894 the Barrow Navigation Company merged with the Grand Canal Company, probably as a means of sharing costs and competing against the railways. Ironically this new company was subsumed into Córas Iompair Éireann in 1950. CIE at the time was the umbrella for all manner of transport. However, you will see no mention of the canals or the river freight on their modern website.